Good news for homebuyers in the Eugene and Springfield area!! The inventory of homes on the market for sale has increased slightly and believe it or not, the housing market has become slightly less competitive. This also means that pricing has become somewhat softer in some price ranges and areas. If you have been searching for a home and gave up due to the fact that you could not find a home, you should take advantage of this market change. Here are the home sales statistics for the month of November 2018 in Eugene and Springfield. 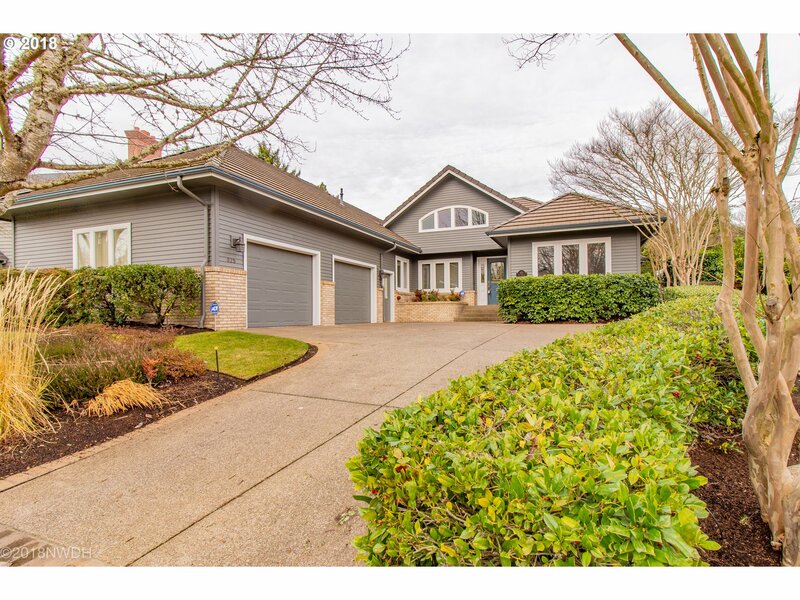 Lane County saw an uptick in new listings this November. At 393, new listings outpaced November 2017 (345) by 13.9%, despite cooling 16.2% from the 469 new listings also entered last month in October 2018. The last November with more new listings in Lane County was in 2007,when 467 new listings were o ered. Pending sales, at 351, ended 4.1% cooler than in November 2017 (366)and 22.9% cooler than October 2018(455). Closed sales, at 370, similarly cooled 6.1% from November 2017(394) and 12.1% from October 2018(421). Inventory in Lane County showed a slight increase in November, ending at 2.2 months. Total market time rose to 52 days in the same period. Comparing the first eleven months of 2018 to 2017, closed sales (4,848) have increased 0.8% and new listings(6,155) have increased 0.2%. Pending sales (4,952) have decreased 0.3%. Comparing 2018 to 2017 through November of each year, the average sale price has increased 7.1% from $288,300 to $308,800. In the same comparison, the median sale price rose 8.3% from $260,000 to $281,500. Here are the home sales numbers for October of 2018. For the most part, there is little change taking place over previous months this year. This reflect on a market that has flattened out and maybe starting to decline slightly. This actually is good news and may help us maintain a strong housing market going into 2019. Here is the report for Lane County in October of 2018. October brought mixed numbers to Lane County, but new listings saw a gain over October 2017. At 469, new listings rose 5.2% ahead of the 446 new listings last year in October 2017, despite a 2.9% cooling from last month in September 2018 (483). Closed sales (421) were 5.5% warmer than last month in September 2018 (399) but fell 1.6% short of the 428 closings recorded last year in October 2017. Pending sales fared similarly,warming 6.1% over the 429 offers accepted in September 2018, but falling 4.6% short of the 477 accepted last year in October 2017. Total market time rose to 43 days in October with inventory decreasing slightly to 2.1 months from 2.4 months in September. Comparing the first ten months of 2018 to 2017, closed sales (4,451) have increased 1.9%. Pending sales (4,611) have decreased 0.4% and new listings (5,753) have decreased 0.5%. Comparing 2018 to 2017 through October of each year, the average sale price has increased 6.9% from $288,200 to $308,200. In the same comparison, the median sale price rose 8.5% from $260,000 to $282,000. Have An Awesome Thanksgiving Week!